Cadhay was built by John Haydon in 1550 on the site of an earlier house. 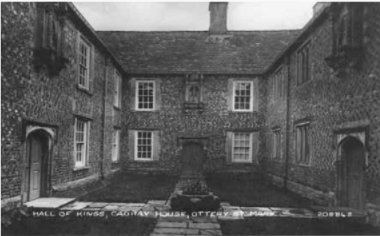 His nephew Robert built the Long Gallery, a feature of late 16th century housebuilding, closing in the south side of the house to form a courtyard that became known as the Court of the Sovereigns because of the four statues of Henry VIII, Edward VI, Mary and Elizabeth that stand over the doors. Robert was married to Joan, the daughter of Sir Amias Poulett, Privy Councillor, former ambassador to France and Keeper of Mary Queen of Scots during her imprisonment.Her cousin, William Paulet, was also on the Privy Council for all for Tudor monarchs which might explain why the courtyard is adorned with statues of each of them. By 1737 the house was in a poor state of repair and the new owner, Peere Williams, restored the house in the style of that period. He plastered up most of the Tudor hearths and panelled a number of the rooms. 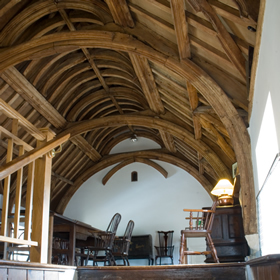 He inserted a lower ceiling in the Great Hall under the magnificent timbered roof to form the current dining room and upstairs Roof Chamber. Being a large house, there were times in the 18th and 19th centuries when Cadhay was divided into two. It again fell into a bad state of repair. 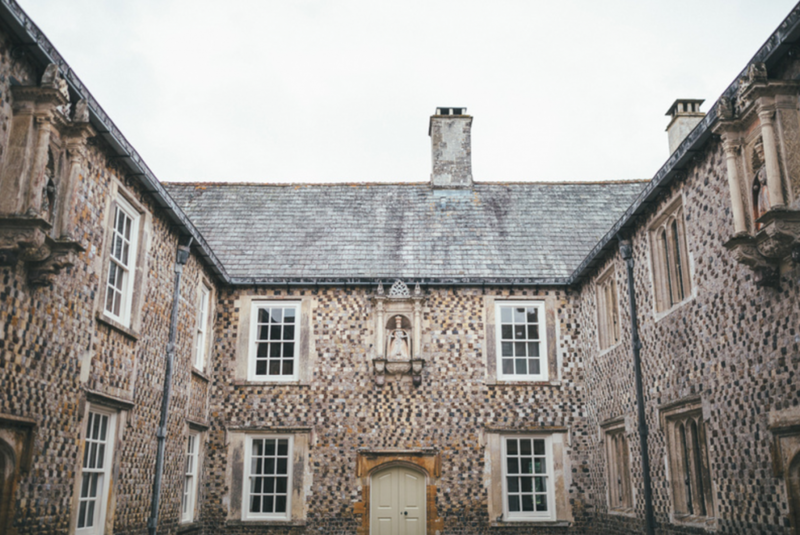 It was bought by Dampier Whetham in 1910 who uncovered the old Tudor hearths and put the house into sound structural condition. 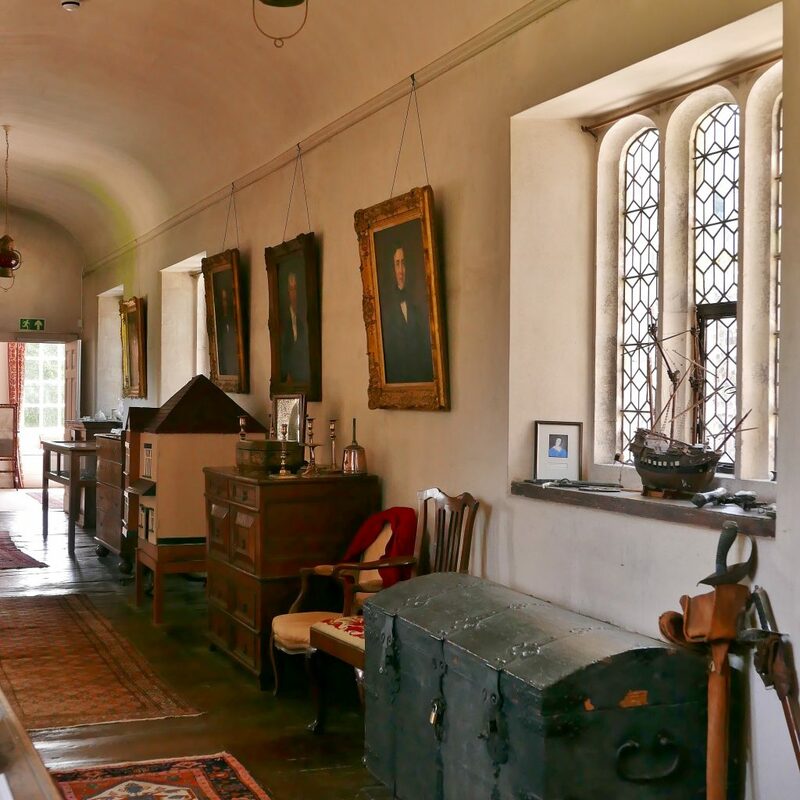 Whetham let the house to the William-Powletts who bought the property in 1935, and the Powletts have occupied it ever since. 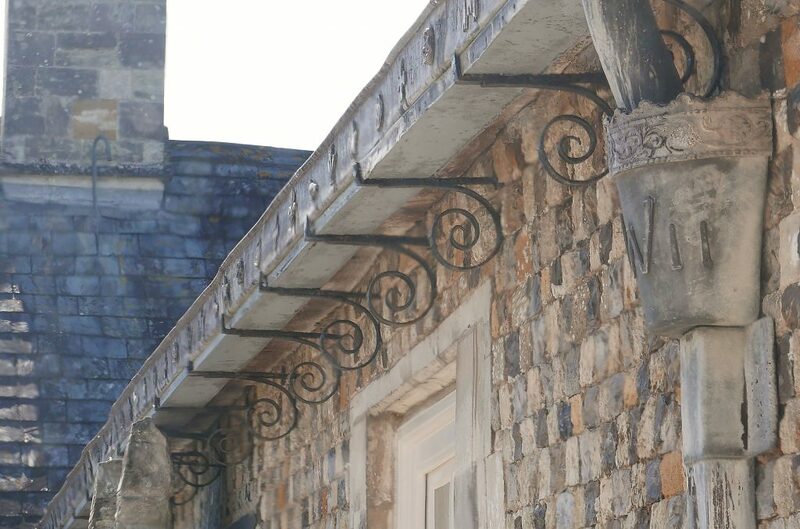 The current owner is furniture maker Rupert Thistlethwayte, a direct descendent of the Pouletts whose coat of arms appear above the fireplaces. Over the past decade, he has restored Cadhay to its previous splendour.